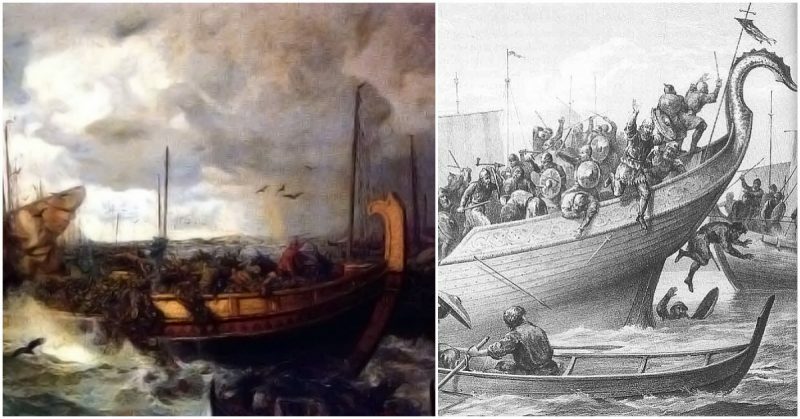 Fought in the summer of 1000 on the western Baltic Sea, the battle of Svolda is without doubt among the major historical battles that shaped the tumultuous Viking age. Norway’s King, Olaf Tryggvason, led his fleet of 11 warships in an encounter with more than 70 warships led by a coalition of Sweden’s King, Olaf Skötkonung; Denmark’s King, Sweyn Forkbeard; and Norwegian jarls, brothers Eirik and Sven Haakon. In the course of these naval hostilities, the Baltic Sea held the tales of a great war, told in sweat and blood. Born after the murder of his father King Tryggvason, Olaf’s life before the battle was not without dramatic events. He was shipwrecked at the coast of Wendland (now Poland); sold as a slave to Rus (now Russia); and after being freed, served as an aide to Vladimir, the chieftain of Novgorod. He was part of the German troops that attacked Denmark and raided throughout the Baltic and England regions. He eventually converted to Christianity after settling with a wife in England, although he later left his wife behind in Ireland during his return to Norway. 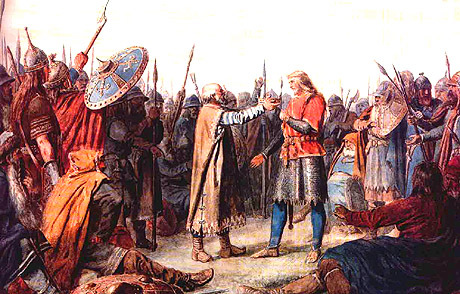 In 995, following Haakon Sigurdsson’s deposition from Norway’s throne, Olaf was declared king of Norway. With the kingship back to the Tryggvason bloodline, Olaf swiftly sought to unite the whole of Norway under his rule. He demanded reverence from the local nobles (the jarls) who had, prior to then, not recognized central authority. At that time, Norway was fragmented into minor kingdoms with a rather feeble central authority; the kings of Denmark had claimed some southern regions and were working their way through to acquire Norway’s vassals for more influence. 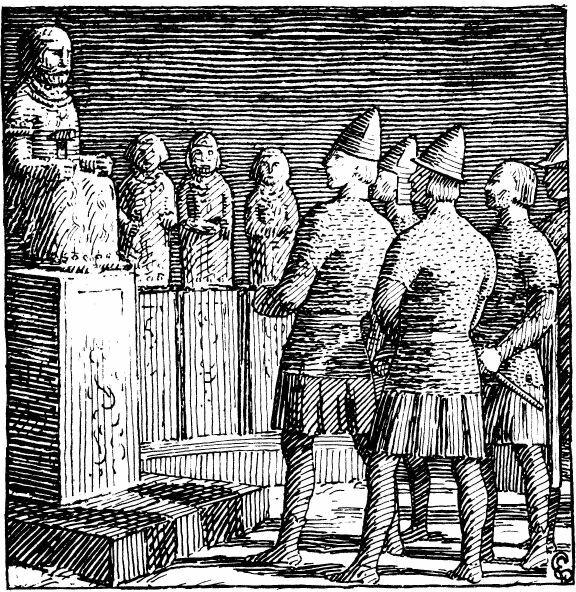 King Olaf I of Norway’s arrival to Norway. Based on drawing by Peter Nicolai Arbo (Norway 1831-1892). While disregarding Danish authority on Norwegian soil, Olaf was keen to convert the entire of Norway to Christianity and put an absolute end to Paganism. Many of his subjects reluctantly obeyed. Those who refused to comply were forced to do so by torture, threats, and sometimes by the execution of scapegoats. His Christian sledgehammer crushed paganism in a few years, and Norway would soon be a fully Christian nation, with Paganism swept under the carpet. Hailed as king in 995, Olaf Tryggvason quickly proceeded to convert Norway to Christianity, using all means at his disposal. In his meteoric rise to power and quest to unify and convert Norway to Christianity, Olaf earned himself more foes than friends. 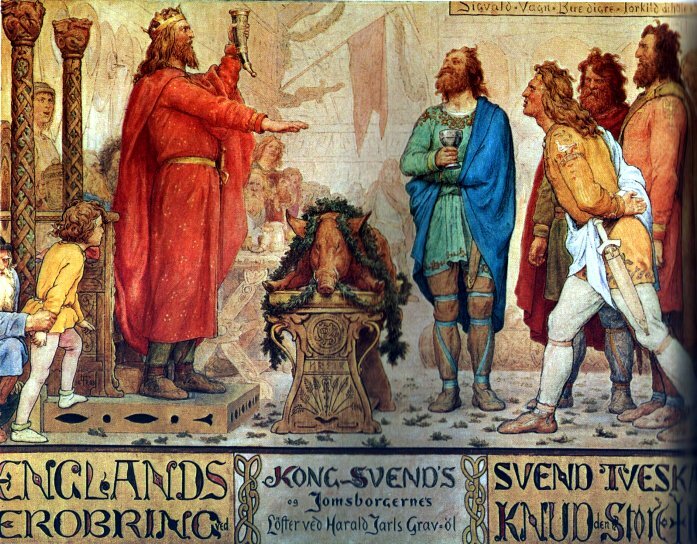 Among these foes were Sweyn Forkbeard, the king of Denmark; and brothers Eric and Sven: jarls of Norway and children of the deposed Haakon Sigurdsson. They all harbored contempt for the Norwegian king because he had deprived them of their share of the Norwegian kingdom. After the death of the Swedish king Eric the Victorious, Olaf met with queen Sigrid the Haughty, Eric’s widow. He sought her hand in marriage but demanded that she converted to Christianity. Sigrid’s refusal of Christianity caused a spark of rage in Olaf who fell out with her. Their relationship thenceforth soured down to severe enmity. Sigrid later married Sweyn Forkbeard of Denmark, adding coal to the flames of hatred raging in Forkbeard’s heart. 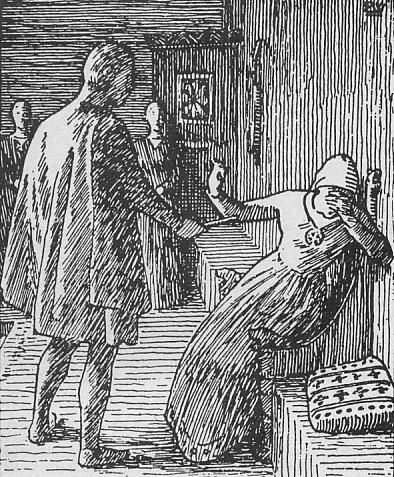 Olaf Tryggvason proposes marriage to Sigrid the Haughty, on condition she convert to Christianity. When Sigrid rejects this, Olaf strikes her with a glove. She warns him that might lead to his death. Forkbeard’s sister Thyri had, after demanding a divorce, been released by King Burislav of Wendland who was married to her. She then settled down as Olaf’s wife. 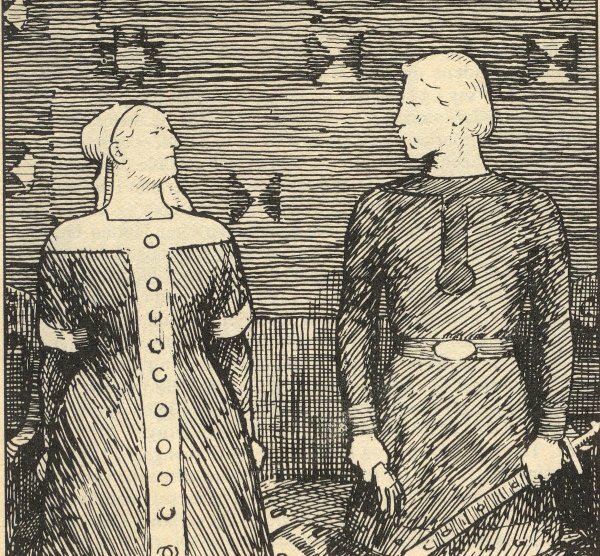 Olaf demanded that Burislav returned the dowries with which Thyri got married to him. 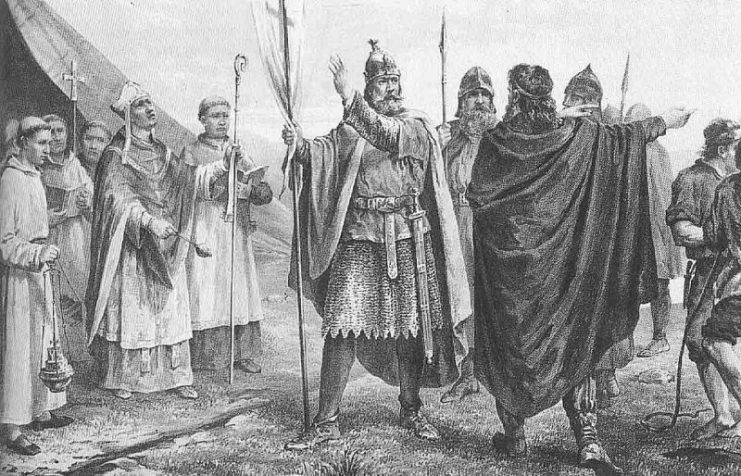 However, his demand was bluntly refused for a while until Sweyn Forkbeard, as advised by his wife, colluded with Sweden’s King Olaf in luring Norway’s King Olaf into a trap. Olaf offers Queen Tyra a stalk of angelica. She weeps and scolds him for not daring to face up to Svein Forkbeard and retrieve her dowry. Olaf Tryggvason received word that Burislav had prepared the dowries he demanded and quickly made for the seas with his fleets: sailing to Wendland to retrieve his wife’s dowries. It was said that in the same journey, Olaf was on the move to make allies from Wendland in a bid to wage war against Sweyn who was said to have been planning an assault too. 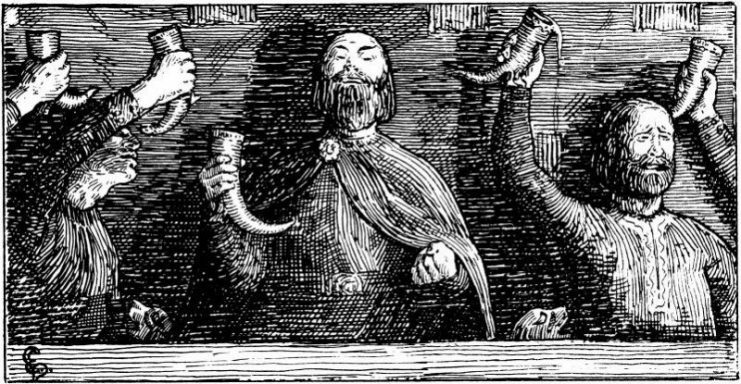 While in Wendland, the rumors of Sweyn’s impending ambush came to Olaf, but Wendland’s Jarl Sigvaldi was in time to debunk the rumors, convincing Olaf of their falsehood. Unbeknownst to Olaf, his trusted ally Jarl Sigvaldi was in league with Sweyn Forkbeard, Olaf the Swede, and Eirik Haakon in a plot to put him down. Lying in wait on the island of Svolda was great danger, wearing the skins of his enemies. 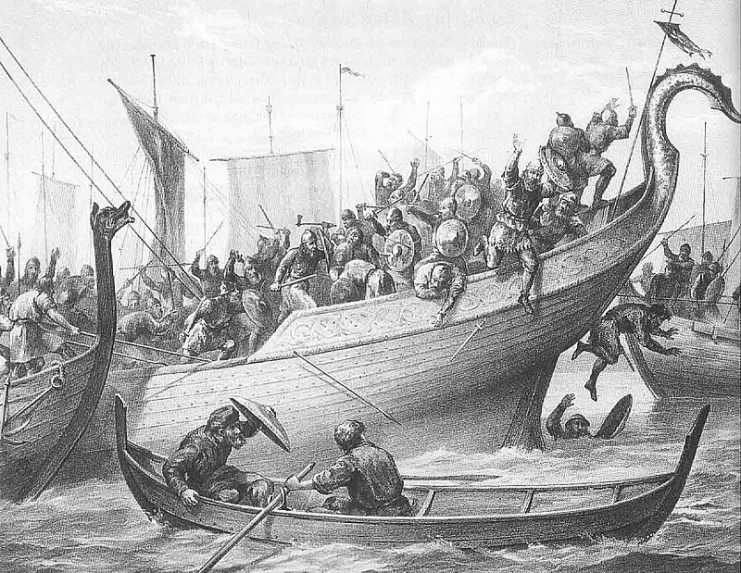 As Olaf made sail for Norway after failing to secure allies at Wendland, Sigvaldi, accompanied by his fleets of Jomsvikings, sailed alongside Olaf’s fleets, leading him into the enemy’s snare. Seeing his assailants approach, King Olaf quickly commanded that all his ships be set side by side with his own ship – the Long Serpent – at the middle. 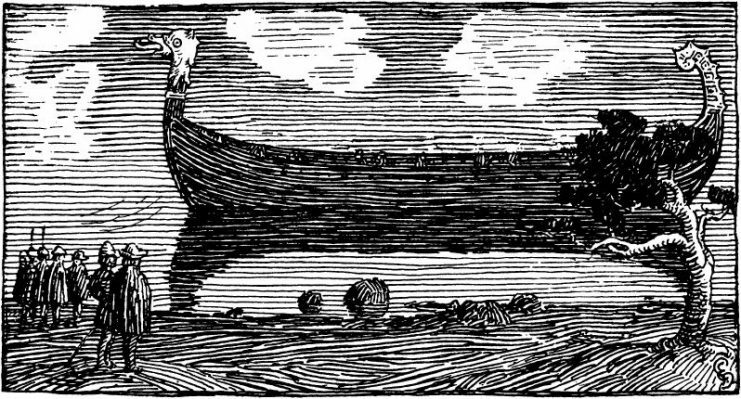 The Long Serpent was the tallest and largest ship on the sea, and its height gave Olaf’s soldiers a higher ground from which they could fire arrows and Javelins at the enemies who would be forced to fire upwards. Setting the ships side by side enabled him to set up a fort on the sea. This allowed his Vikings to fight more effectively as they were highly skilled at hand to hand combat. The Long Serpent was “the best ship ever built in Norway, and the most costly”. But then came the Iron Ram, sailing forth with jarl Eirik Haakonsson aboard. His men struck Olaf’s formation from the flanks, attacking one ship at a time and dismantling the formation in the process. Sven Haakonsson’s fleet followed closely, and after hours of fierce combat, the Long Serpent was all that was left. Olaf and his personal bodyguards were up for some more serious fighting. 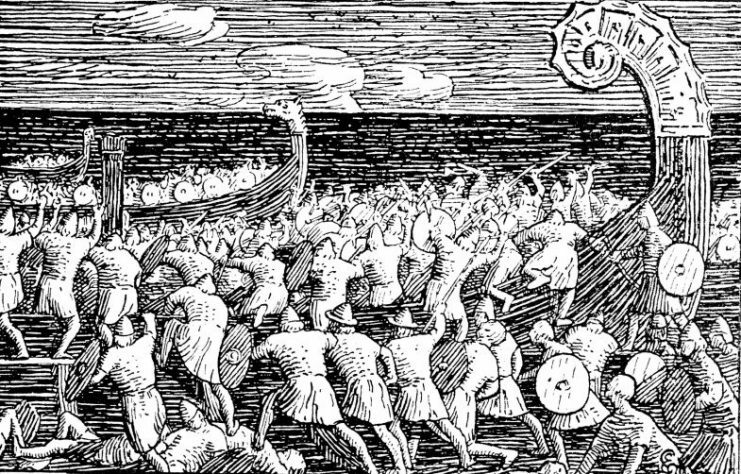 The odds had grown enormously higher against Olaf as Eirik and Sven prepared to attack the lone vessel. While Eirik commanded his ship, two arrows narrowly missed him. Stunned, he quickly inquired of his men who the archer might have been. Indeed, it was Einar, Olaf’s best archer, aiming from a high spot beside the Long Serpent’s mast. Just then, Eirik’s best archer Fin swiftly stepped up to the plate and fired his shot. His arrow pierced the air: bound for the rival archer who was on the verge of firing another shot. Fin’s arrow caught the middle of Einar’s bow just when he was about to draw. Einar’s bow split in two, and he quickly took up a shield and a sword, having lost to Fin. 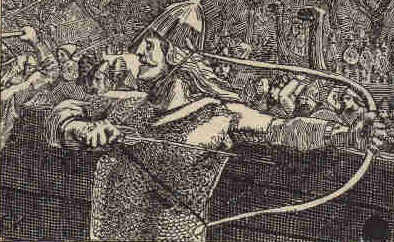 Einarr Þambarskelfir tries the king’s bow and finds it too weak. Olaf’s last men fought with all their might. Fighting side by side with their King, they held Eirik and Sven off for hours. But victory was far from them. The best they could do was to delay the inevitable. After the last of Olaf’s Vikings fell, he was left staring at the faces of his enemies. Years of contempt and a thirst for vengeance were gleaming off their swords. Then, in a flash, he threw himself overboard into the depths of the sea. A loud splash was heard as his heavily-armored frame crashed into the sea, vanishing in its depths. All of his ships were seized by the coalition, and his surviving soldiers were captured. The chaotic nature of a sea battle is shown in Peter Nicolai Arbo’s Svolder painting. This marked the end of the battle of Svolda. All that Olaf had achieved was destroyed. Norway was split again into areas of control, and Christianity was no longer imposed on the people. Most parts of Norway were ruled by Sven Haakonsson while Eirik ruled three Norwegian provinces. Sweyn Forkbeard regained the Viken region, which he had lost to Olaf Tryggvason during his reign. Division of Norway after the Battle of Svolder according to Heimskringla: The red area was under direct Danish control, with Sweyn’s ruling it as a Danish extension. 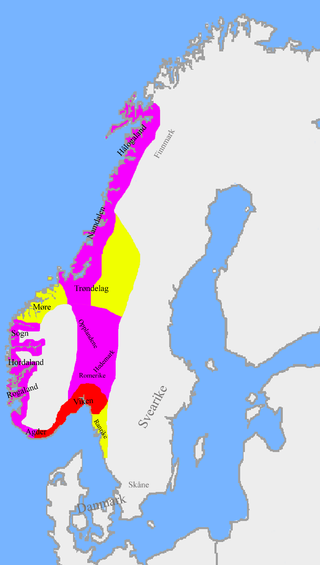 Eiríkr Hákonarson ruled the purple area as a fiefdom from Sweyn Forkbeard. The yellow area was under Sveinn Hákonarson, his half-brother, held as a fief of Olof Skötkonung, the Swedish king. Tales of this historic battle still breathe on the lips of storytellers. Many are fascinated by the swiftness with which Olaf’s fleet fell into formation and the formation’s effectiveness at holding off the coalition’s first attack. Also, Olaf’s persistence in the fight against an overwhelmingly large number of enemies was a testimony to the great fighting skills of his troops. The match of archery between Einar and Fin was another spectacular aspect of the battle. Nobody has ever been completely certain whether or not Olaf died in the battle.